Description Same image as 156a, b, c, & d, and 683b. Printed from the glass plate negative; see 683b; photo taken by Will Bickner. Bickner boathouse on right shore. 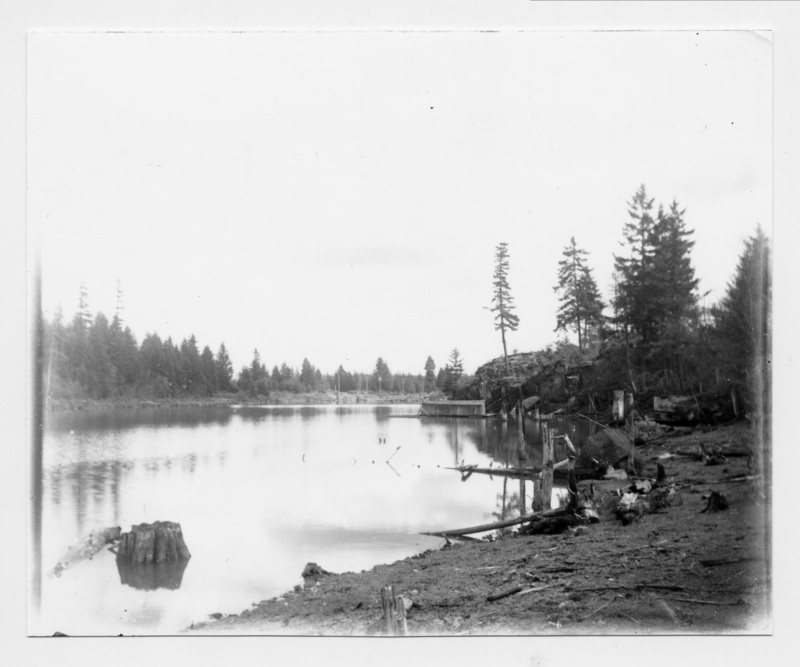 Written on the negative sleeve: Oswego Lake, Oct. 1906.